I’ve definitely been riding high this year on a vintage theme. Tootling around antique and charity shops this summer reaffirmed my love of vintage sheets and objects, and the joy one gets from appreciating age and history in things which are no longer made today. Then I got to distressing some picture frames and my church pew (I thought of doing a post called ‘A Distressing Summer’ but didn’t think it would create the right impression! LOL!). I’m even going with the vintage theme in my new bathroom (the old one gets ripped out next week – hooray!). 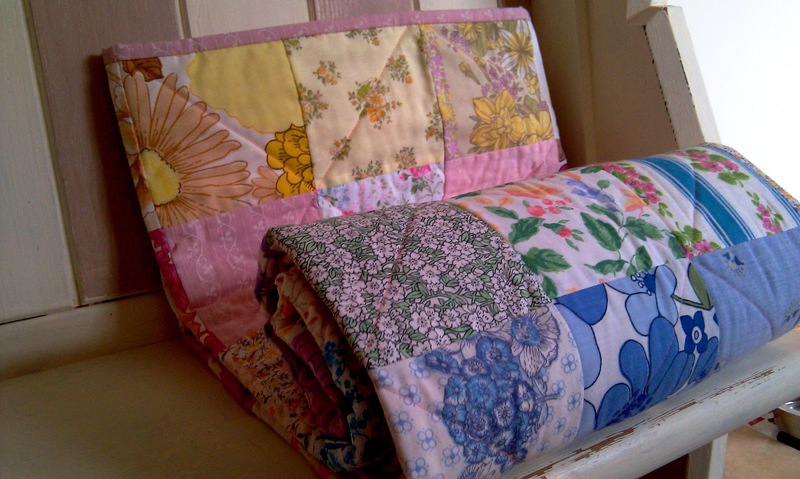 But for today, I can show you a finished quilt – the first of my 3 vintage sheets quilts. 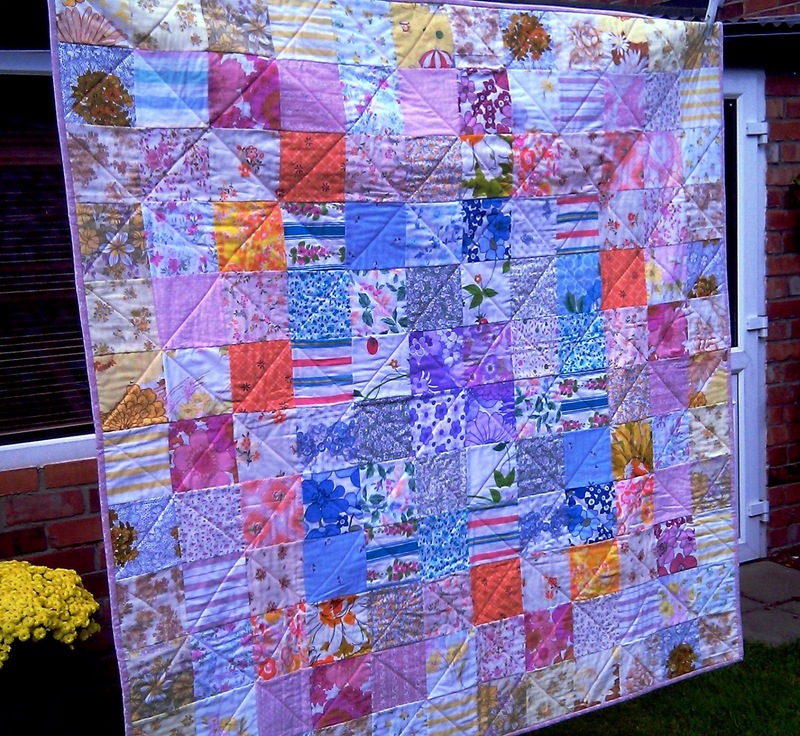 The weather here has been so lovely this week, that it is almost too bright to be photographing quilts outside! The backing is a vintage sheet I found in a charity shop several years ago! The finished quilt is approx. 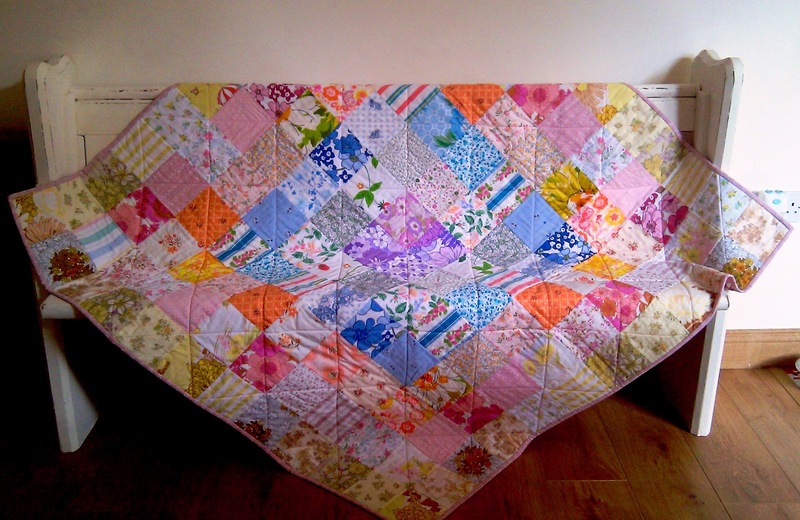 60″ square, and 90% of it is made from vintage sheets and offcuts. My pillowcase from when I was a wee girl (in the ’70’s) is in this one, so according to my kids it is definitely vintage! 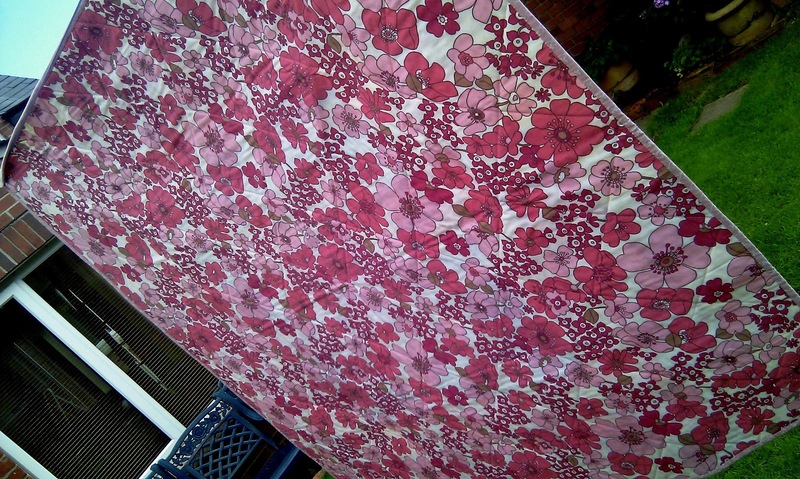 This quilt is for my friend’s birthday this month, so I’d better get it packaged up and shipped over to England. Hope you are all getting some gorgeous Autumn weather in your part of the world! Previous Previous post: Traditional Twists! Next Next post: Desperate Measures!